The Transport Manager module makes school transport safe and secure. It is designed for effective maintenance of school transport management. 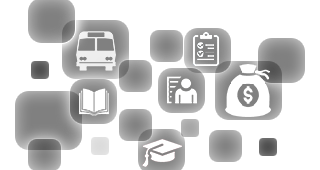 It manages bus routes, bus stops, timing, drivers, and students. It provides the administration with efficient ways to implement transport management, assigning buses, drivers, and students to specific routes. Managing and monitoring schedules for drivers and students has never been this easy. Our Transport Manager module offers institutions a full overview of the operations of school transport. Managing School transportation can be complex but with our Transport Manager software, it will be simple and safe. Create efficiency through developing optimum transport routes. Our system features a calendar-based transport schedule for managing and planning school transportation for current and future school terms. Track the location of buses and monitor their movements on the road using GPS tracking. The information is critical for both the administration and parents for the safety of the students. This will help to prevent unnecessary delays with real-time monitoring. Automatically assign drivers to specific routes based on their experience and safety record. Integrate with the payroll software and pay drivers easily based on a number of trips. Automatically make changes on routing based on the changing student schedules. Suspend services temporarily for students on vacation instead of creating a fresh schedule. Ensure drivers follow the best and safest routes as pre-assigned based on GPS data analysis. The drivers will get access to the map of the designated routes to follow. Ensure that special needs students are assigned optimal routes for easy management and saving of time. To maintain proper route and safety requirements drivers can use GPS location services to get directions on every turn on the pre-assigned routes. Find out the location of buses and students in real time and monitor the behavior of drivers. We understand the anguish parents/guardians go through anytime the buses are delayed. The GPS Bus tracker will inform both the administration and the guardians exactly where their children are. Students should be able to commute safely using the school transportation facilities.